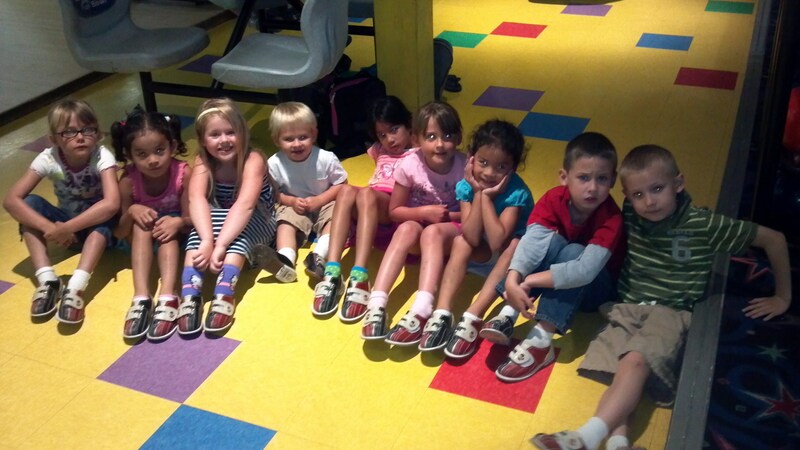 Today I took the kids bowling with 3 other moms and their kids. It was our first time taking advantage of the Kids Bowl Free promotion that runs every summer and I admit I was a bit skeptical. I thought there had to be a catch. It clearly states on the coupon that each child and adult is allowed 2 free games, but you do have to pay the shoe rental. I thought they would end up screwing you on the length of time you had to bowl and if you went over that time, they would charge you. Nope! We were there for 3 hours! What a deal! While I was standing at the counter waiting to get shoes for the kids, I was listening to a woman trying to negotiate the shoe price. Before I continue, let me just say I do not support nor condone fleecing. The shoe rental is $4 per pair. A little steep? Yeah, maybe, but since I wasn’t paying for the actual game and I have my own shoes, I paid a total of $8 for 3 hours of fun! Here is a snippet of the conversation between the woman and the manager of the bowling alley. Woman: We plan on coming here a lot this summer and I was wondering if you could cut us a deal. MGR: Cut you a deal on what? Woman: Your pro shop isn’t open during the bowl free time so I don’t have a choice but to rent shoes. MGR: I don’t understand what you are asking. Woman: Your shoe rental is too high. MGR: You are bowling for free, we have to charge for shoe rental. Woman: Can you at least match the price in Mira Mesa? We would go there, but I don’t want to take my kids there because of the gangs. MGR: Mira Mesa is on the verge of going bankrupt. We are a for profit organization. I am already losing money on this. Woman: I need to feed my kids! MGR: I’m sorry, but I have to charge for shoes. Woman: I told the whole San Diego dance team about this place. They would have no idea about it if it weren’t for me. MGR: I don’t think we’re going to get anywhere here. Woman: I guess I just won’t bowl and Allison, you can’t bowl. My friend, Kate, and I both agreed that if $4 is going to decide whether or not your children eat, maybe you should be choosing an activity that is completely free. Like going to the park or the beach. I don’t know how the “negotiation” went, but I was really pulling for the manager. I’m going to go out on a limb and say that he isn’t going home to his beachfront property in La Jolla that he bought from all the shoe rental commissions he makes. One way or the other, I saw the woman bowling later on and Allison was as well. This entry was posted in kids, Miscellaneous Ramblings and tagged Bowling, Kids Bowl Free, Shoe Rental by Amy. Bookmark the permalink. Possibly, but it’s kind of hard to have fun when you don’t think your mom is going to feed you dinner! I really don’t get people like that. I know! If she would put that much effort into earning some money, she wouldn’t have to waste everyone’s time arguing about a few dollars.